There are a lot of places where you can have a birthday party. 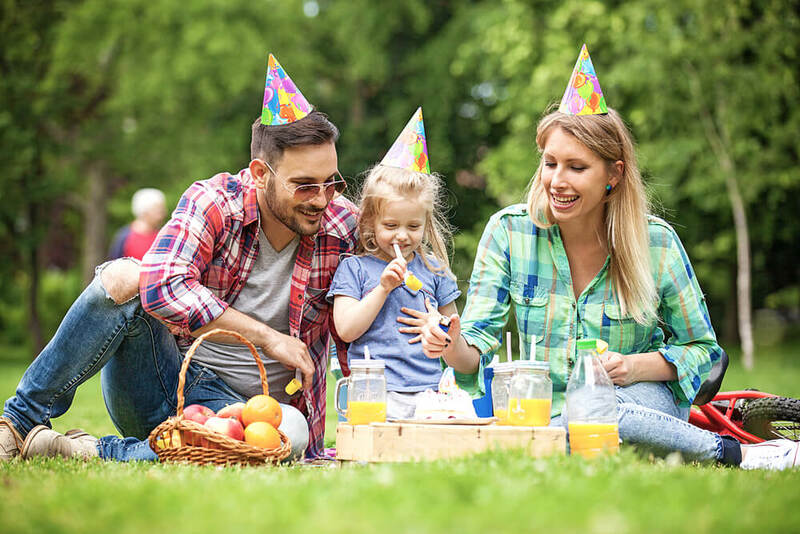 Sometimes having the party at home is not something that you may want to do that year; if so, there are some places that birthday parties can be held that are a ton of fun. Adrenaline Entertainment Center, a Lexington birthday place, has shared some details in case you need some ideas for places to go to have a birthday party. The skating rink used to be a place for everyone to hang out, and while it may not be well broadcast, they are still open for business. A skating rink can be a great option as a place to throw a birthday party. This is usually something for children and teenagers, but some adults love the sport as well. The skating rink will usually have its own snack bar where pizza and drinks can be ordered to cater to the birthday party guests. A lot of skating rinks will even have birthday packages that will discount the overall price. A birthday cake can be brought in and tables rented. Plus, this can be set up any day of the week. Another place to go to have a birthday party is the arcade. While skating is fun, some may enjoy different hobbies such as arcade games. The great thing about having a party at an arcade is that all the games will already be set up. Sometimes arcades will even have go-carts that can be rented for an extra fun birthday game. Arcades are similar to the skating rink when it comes to the snack bar. Most arcades will have a place to order pizza and drinks with tables that can be rented out or reserved for the party. Do note that some places will not allow candles to be lit inside of the building. It is always good to ask before planning the party. You can find more information about arcades at Dave & Buster’s. A lot of people have birthday parties at parks. It allows the party to be outside so no sweeping or mopping will have to be done afterward and trash cans are normally nearby. However, one major perk to having a birthday party at a local park is the play area and plenty of parking. It also allows for a neutral meeting place for families. The park has been a go-to birthday spot for many people throughout the years. It is important to get to the pavilion early because sometimes multiple parties can go on at a park, making it difficult to plan, and a lot of parks do not reserve pavilions. Try to have a park party set up ahead of time. This YouTube video gives a ton of tips and ideas on how to plan an epic park birthday party. Another great place to have a birthday party is at the trampoline park. A trampoline park is a ton of fun. They will harness you up and allow you to jump really high on the trampolines safely. It is not like jumping on a trampoline at home or a friend’s house. The trampoline parks are certainly a thrill but also while fun and amazing. You can plan an entire birthday party right there at a trampoline park. Another great thing about having the party there is that it is a lot of fun for kids and it is extremely affordable. Everyone loves bowling. At night, some bowling alleys will even have upbeat music and blacklights. A great place to throw a birthday party is right there at your local bowling alley. Not only will the fun evening be set in place with entertainment, food can be purchased there too. A cake can be brought into the bowling alley if the manager of the business will allow it. The snack bar will most likely have pizza on the menu, making the food accessible. Another great place to throw a birthday party is at the zoo. The zoo is a great place to learn about and see all kinds of animals. It can be a lot of fun spending the entire day looking at animals in their natural habitats. Plus, you get to learn something new and see beautiful animals. While there are a lot of options out there to have a birthday party outing at, sometimes a nice quiet evening at home will do. So maybe this year you can have the thrill of jumping high on a trampoline and the next year spend it at home. Whatever your choice, just make it fun for you.